Hi All, the following is an update the Make Lehigh Valley Filament Extruder Project. This update is dedicated Matt Schwarz who recently passed away and who was a co-organizer of Make Lehigh Valley makerspace. Matt was an early proponent DIY 3D printing, filament extrusion and completed prior work at the space in the extrusion of filaments, building of the the space's first 3D printer and other initiatives. Matt's presence at the space will be missed by all. Current activities in the filament extruder have focused on the refinement of the heating element and the motor. The oven element heater has been replaced by fiberglass covered nichrome wire powered by a repurposed inverter transformer. The output of the transformer is 6 vac which powers parallel strands of nichrome wire. A 'slo-sync' 72 rpm motor has been installed to power the extruder. Testing has indicated that this is a little slow and work is underway to either speed up the motor via a variable frequency drive or replace the motor with another type. Next steps including installation of thermocouples at several locations on the extruder body and building an Arduino circuit to read and display the temperatures. Additional testing will done to refine location of nichrome heating elements and assess whether multi-stage heating of the extruder assembly is warranted. The motor drive is also being redesigned to achieve higher extruder speeds. Hi All, the following is an update the Make Lehigh Valley Filament Extruder Project. Thus far, the concept has been demonstrated successfully with production of several meters of ABS filament!!! The emphasis on the project at this stage is determining fundamental parameters for operation of key sections of the design. Key sections of the project include; nozzle design (nozzle diameter, length, inlet & outlet shape), material heater body design (single stage vs. multistage heating, heater element design including material, voltage, current, insulation), extruder design (length of extruder, hopper geometry) and drive mechanism (gear reduction, clutch, drive motor options). Safety is a key design consideration for the project. For example, low voltages are planned for powering of the heater element along with interlocks to protect against extruder or motor overload. Next steps include; refinement of the heater element, incorporation of automatic heater control and testing of motor drive options. Once these items are tested satisfactorily, more sophisticated automation is planned. The automation is expected to include an integrated control scheme incorporating heater controls, clutch slippage detection, drive motor controls and hopper feed sensing and controls. Control platform and sensor options are still under review with the emphasis on safety, open source, simplicity, availability, cost and reliability. Additional project details are provided in previous posts. Heater element attached to extruder - subsequently covered in fiberglass insulation. Frank just sent us another update on his filament extruder. Some progress has been made, and he's almost ready for testing. This is shaping up to be one of the more ambitious projects from one of our members and we're excited to see it in action. "I am nearing completion of the clutch for the extruder and have completed the adapter to be able to turn the extruder with a variable speed drill. My thoughts on the clutch are to place hose clamps on each side over top where the slots are cut. The tighter the clamps the higher the torque until it slips (that is the theory anyway). If I need more torque applied, I am thinking of a steel can with bolted flanges to tighten down on the plastic coupling. There is a floating steel rod inside (not shown) that maintains the alignment between the aluminum halves. The plastic is a PVC pipe union connector with slots cut so clamps can compress the plastic coupling. Progress has been slower than I hoped due to other projects, but I am getting close to being able to conduct the first trials which I plan to do at the space. " "The clutch assembly is complete and the extruder end has been drilled for a pellet hopper and a small aluminum hopper added. My plan is for a full-size hopper would set on top of aluminum block. The only thing I need to do to allow an initial test is to make some nozzles to fit in the "T" connection. I am going to try to drill some brass plugs with a 1/16" drill as a start. 1/16" (0.0625") may be close to what is required to get a 1.75 mm (0.069") figuring it will swell as it comes out the nozzle." Our member Frank has been working on a heavy duty piece of hardware for extruding 3D printer filament. This all started when we got a 3D printer and were interested in making filament on the cheap instead of paying someone else to manufacture it. Filaments can be made from many different materials and self producing it can save up to 80% of the cost of commercially produced filament. We had seen several other DIY machines to do the same thing, but one of our members decided to take on this project himself and has really gotten pretty serious with it. Here are his progress notes so far and some info on the work that's going into this project. Design / fabricate hopper - 3D printed in ABS? Design / construction motor speed controller - Arduino based? Currently extruder section is short, not sure how much length is required to get necessary pressures at nozzle end. I have other tubing available to lengthen that section if it is determined to be necessary. The parts are designed to move around to test other arrangements. We're looking forward to seeing more on this amazing project. Keep up the good work, Frank! This project starts a few months ago when one of our members was putting together a class for a girl scout troop. He was teaching them using adafruit trinkets and needed a fairly powerful 5v supply to power them. His Solution was to use some old rear pci slot mounted USB jacks, similar to the image bellow, connected to the 5v supply line of a PC power supply. One day at the space someone needed to charge their phone so they plugged it in to the jack connected to the power supply. I liked the idea and decided to take it a bit over the top. I used openscad to create a box to hold all the USB jacks along with binding posts that connect to the +12v, +5v, and +3.3v coming out of the power supply. I printed the top and bottom of the box on the 3d printer. and now have an over-the-top hacker phone charger, raspberry pi and everything else power station. Two of the PCI USB slots had status LEDs on them. I added an attiny85 to blink them around in a cycle as just a fun extra feature. Without further ado here is the finished product. Lehigh Valley Mini Maker Faire: Welcome! We hope you had an amazing time at the Lehigh Valley Mini Maker Faire this past weekend! We all had a great time meeting with the community showing tons of people how to solder, and showing off what we do as a makerspace. We look forward to getting to know you all and can’t wait to see what cool things you’re working on. Nearly everyone who signed up was interested in becoming a member, and we couldn't be happier to welcome new members into our group. Follow the link here for our public docs and find the Membership Application and Liability Waiver. Once you have it filled out, you can hand it to any board member for review. Sign up for our group discussion email list here to get regular emails and updates from the group. And of course - Visit the Space! Open Hack Nights are Thursdays from 6:30pm ~ 9:30pm at The Bridgeworks Enterprise Center, Suite 101, 905 Harrison Street, Allentown. (The first loading bay along the street from the end with the water tower in the parking lot, park on the street, and look for the wooden stairs or use the doorbell next to the loading door). We’re open for members and non-members to come in and meet with the community. Feel free to bring projects that you are working on to show them off, or just come by and take a look at what we’re up to. This is a casual event, but a great way to get to know our group and get involved. Standing desks have become pretty huge lately. They are said to be a great way to avoid the long hours of sitting that accompanies many jobs. After using one for a few weeks when I was working in Germany I understood the hype and when I got home I had to have one for myself. The first thing I thought was that I didn't want to just make a tall desk. That would have made it so I was always stuck with a standing desk. Sometimes you need to just sit down. When I looked for pre-made convertible standing desks I found out that they were ridiculously expensive. I knew I needed to make my own desk or modify the one I had. I racked my brain for a while thinking what to do. I thought of some ideas that would put a new top on my desk that could be lifted but that seemed like a big task. Then I came across an eBay listing for 18 inch stroke linear actuators that run at 24 volts and could lift 600lbs. They were being sold by surpluscenter.com. Each actuator was about $45. Using 4 linear actuators, a 24V linear power supply, an arduino, a relay board with 8 relays, and a few other components I created a convertible standing desk. Check out the video below for a tour of the desk. Should a Maker go to a Hackathon? First things first: A hackathon is an event - generally a few days on a weekend - that brings people together to build interesting things, all the while learning about new technology and sharing experiences. People may 'hack' on something: take a technology, exsisting product, or open source software, and repurpose it into something else, add features, or explore new uses. Other's may 'hack' something together: take various building blocks, APIs, hardware platforms, and create something completely new and unique. What's a Hacker, and a Hack? It's probably safe to say that most makers wouldn't raise an eyebrow at those terms - but in case the definition is a bit fuzzy, a hacker is simply someone really good at solving problems and overcoming limits in ways that may not seem obvious to most. Paul Graham has said that a hacker is "someone who can make a computer do what he wants—whether the computer wants to or not." And a hack is the imaginative, clever, and perhaps crafty output of that hacker. "Whether the result is a quick-and-dirty patchwork job or a carefully crafted work of art, you have to admire the cleverness that went into it" is how the Jargon file distils the meaning. If you think that sounds a little like the software version of a maker - well, you'd be right. But hacking is not really limited to software, and making is not really limited to just the things we can physically touch - so I'd venture to say that a hacker and a maker are pretty much the same thing. That's a fair question. Whether you're tinkering on a robot (or laser), working on some software project, or building something with a microcontroller - there's weeknights after work, open hack nights at the makerspace, and every other weekend. 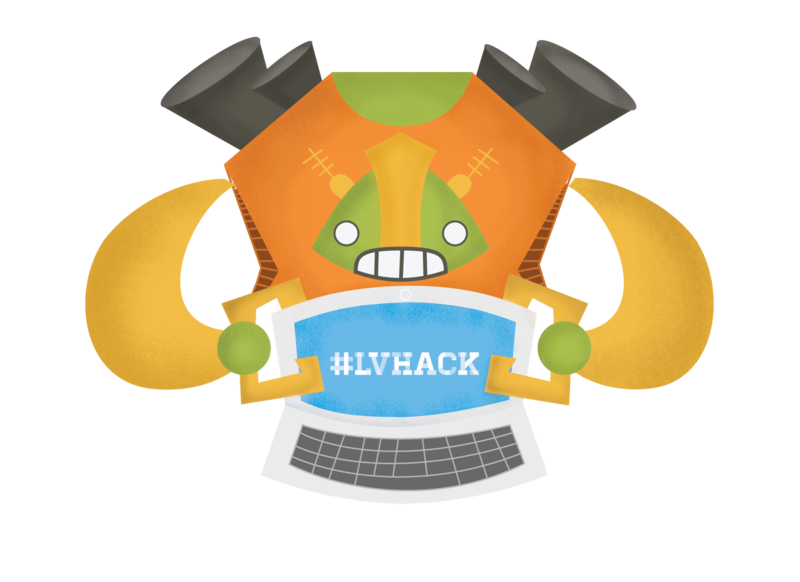 What makes a weekend hackathon so different? It's for all those ideas that you're not working on yet. The ones that would take more than just a few nights to test the potential, or that need another set of eyes, a second pair of hands, or a few more heads to really figure out. And even when it's not your idea, it's a great opportunity to see what's bouncing around in someone else's head, and end up making something that inspires your next idea. The people you meet at a hackathon can become lifelong friends, partners on projects, and even at times the team that takes a hack of an idea, and turns it into something much bigger. And while traditionally people think of hackathons as a place for software developers, that distinction is becoming less and less true. From software to embedded devices to mechanical engineering - we've seen a variety of hacks at our hackathons over the past few years. And we expect even more variety this time around, as our venue is the Wilbur Powerhouse with a assortment of printers and prototyping tools. So yes, a maker should definitely go to a hackathon - and fortunately for you, there's one going on in just a few weeks. See you there?